Prince Albert U19 Astros third baseman Corey Krawec (No. 9) slides into second base during game two of a doubleheader against ISA Team New Zealand. -- Jason Kerr/Daily Herald. The Prince Albert U19 Astros came away with two victories on Monday, but the real winners were fans who got a taste of international softball. The Astros downed the International Softball Academy’s (ISA) U19 Team New Zealand squad 4-2 and 7-2 in a pair of exhibition games at Max Power Ball Park on Monday. An enthusiastic capacity crowd received a unique treat before the first pitch was even thrown. The ISA team, which first began play in 2007, performed the traditional Haka dance more commonly associated with New Zealand’s rugby teams. The dance left an impact not only on the fans, but on the Prince Albert players as well. Although the Astros jumped out to a quick 1-0 lead in the first inning, the opening game of the doubleheader quickly turned into a pitcher’s duel. Astros hurler Troy Preymack and his ISA counterpart Mo Hibbert combined for 9 strikeouts through the first four innings before Prince Albert broke things open with three runs in the fifth. ISA mounted a late rally with two runs in the seventh and final inning, but that wasn’t enough to overcome the deficit, leaving the Astros with a 4-2 victory. Game two started on a similar note, with Astros pitcher Darien Bellegard-Cote striking out five of the first six batters he faced. However, it was ISA who got on the board first after shortstop Josh Jacobs singled and later scored in the third inning. The Astros returned in the favour with a three-run fourth inning, capped off with an RBI double from Bellegard-Cote. The Astros never looked back, adding three more runs in the sixth and another in the seventh to win 7-2. Although the Astros coaching staff was proud of how their team performed, they also said fatigue played a big part in game two. 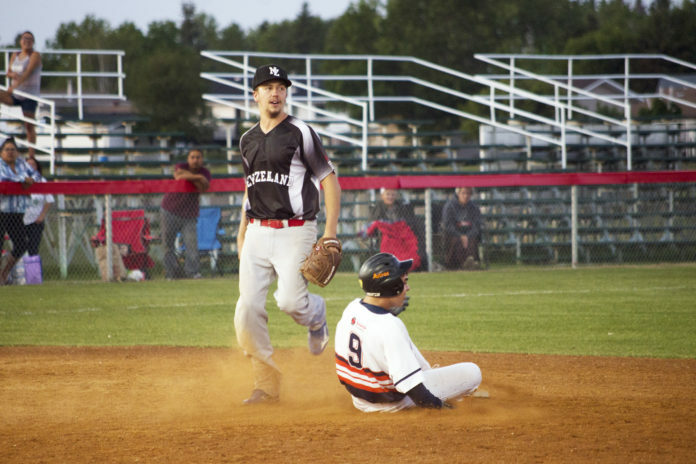 The Prince Albert club is back on the diamond for another pair of international exhibition games in July. They’ll take on Team Argentina on July 2 at 4 p.m. on Optimist Field and then face Team Czech Republic at 6 p.m. on Shaye Amundson Field.